Apple’s new iPhone 8 will be revealed in 2017 and, according to rumours, will pack its first ever low power, high contrast OLED display. Now it looks like the rumours are all but true however Apple may still struggle to make it a reality. The production of OLED is difficult and as such is done by a small number of machines. One company that owns a “near monopoly of machines”, according to Bloomberg, is Canon Tokki Corp. And it’s booked up for the next two years. The report says that the Japanese company has a two year wait for use of its OLED producing machines which cost about £70 million each. Despite the bottlenecking of production the company’s CEO says: “We are doing all we can to increase output and make that wait shorter”. Apple tried to launch sapphire glass screens previously for iPhone but the supplier was not up to standard and ended up going bankrupt. Now iPhones still don’t have sapphire screens, which are on Apple Watch only. Apple Watch also currently features OLED for its smaller-than-iPhone screens. Rumours suggest Apple will only launch one special edition 10th Anniversary iPhone with the OLED display so perhaps the order number will be lower. Also, more Japanese companies plan to begin producing OLED screens by 2018. 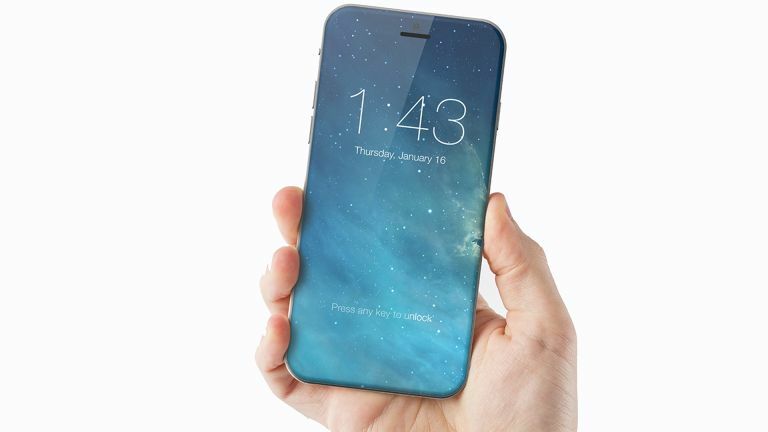 So there’s still hope for a better battery life and a clearer, curved iPhone screen soon.